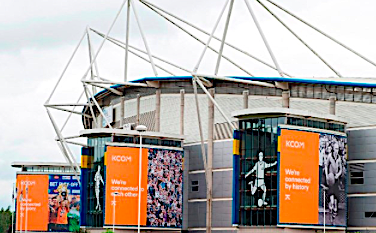 Shares of Hull-based communications firm KCOM plunged 30% on Tuesday after it warned its trading performance for the current financial year “will be weaker than originally expected” and it cut its dividend. “This is principally the result of flat revenue (driven by lower than expected order intake) in the group’s enterprise segment and continued customer churn in the group’s National Network Services segment (NNS),” said KCOM. “It is the board’s view that these trends will continue into the following financial year. “The performance of the Group’s NNS segment has resulted in the board’s decision to impair the carrying value of goodwill in NNS. “A non-cash exceptional item of £32.2 million will be recognised in the group’s upcoming interim results. “As a result, the board now expects EBITDA (pre-IFRS 15) for the current financial year ending 31 March 2019 to be c.5% below current market expectations. “The board expects the group’s net debt at 31 March 2019 to be c.10% higher than current market expectations. “Taking these changes to the group’s medium-term trading performance, cash flow and balance sheet into account, the board now considers it inappropriate to commit to continuing to pay an uncovered dividend.